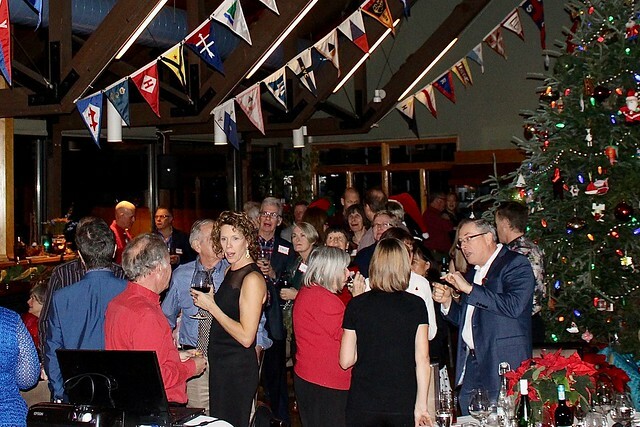 Our seasonal holiday party brought us together to celebrate our sailing community, our wins, our volunteer efforts, our friendships and even musical and dancing abilities. The dinner was delicious and the cheer even better. We'll be celebrating our 50th in July. The event was held Saturday, December 8, 2018 from 6pm-11pm at 30 Ashbridges Bay Park Rd, Toronto. Photos/video by Matthew Burpee (album) and Yvonne Pennefather:(album).